Special Faith and Doubt Episode of The Mockingcast! 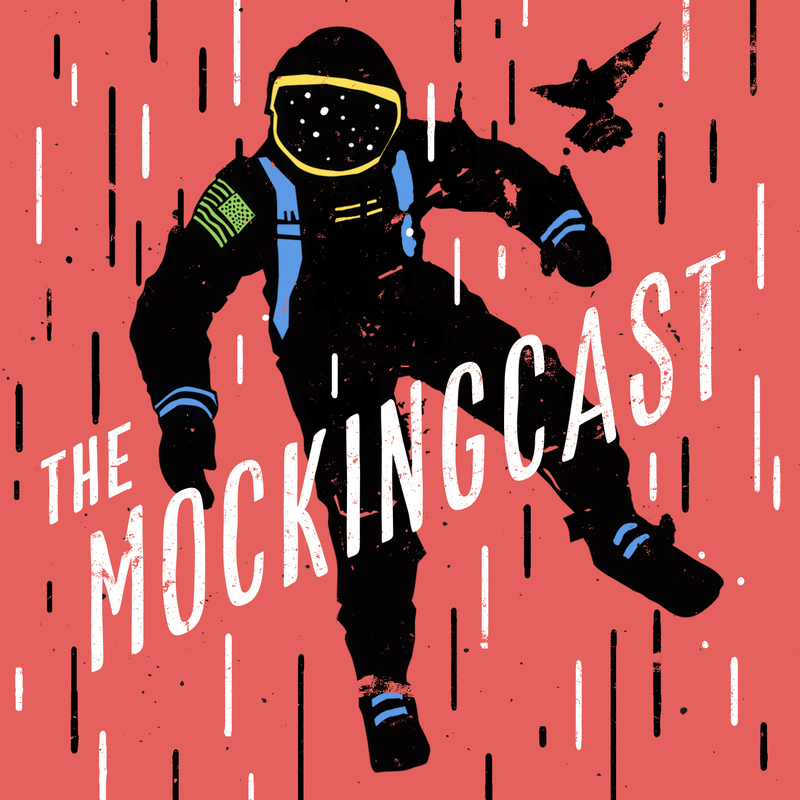 As you may know, each time a new issue of The Mockingbird hits the post office, we do a special episode of The Mockingcast to hit the highlights of the theme in discussion. The new one, ladies and gentlemen, is up! 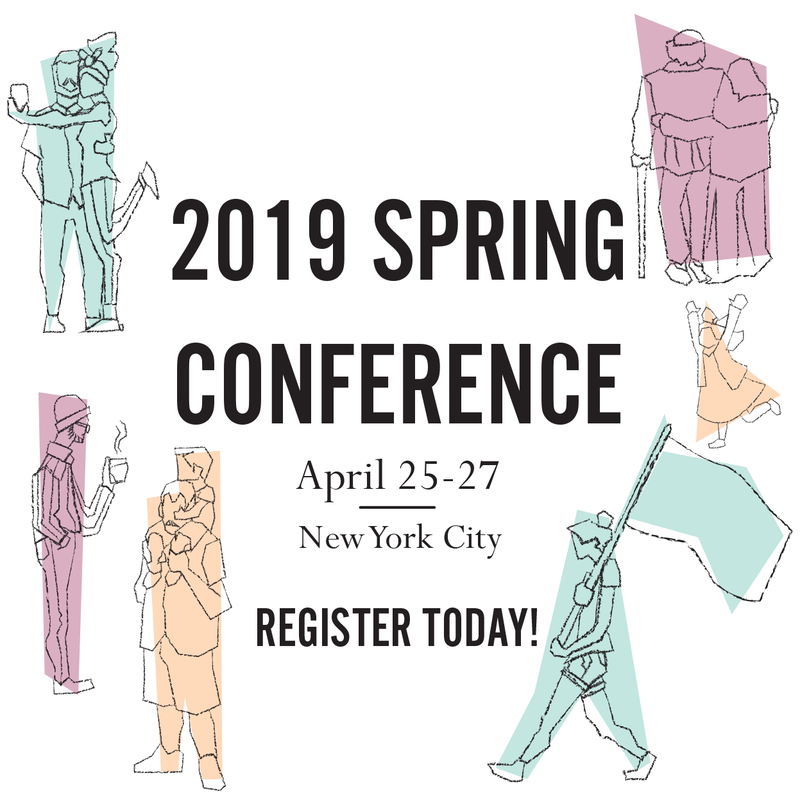 Join Ethan as he chats with Sally Lloyd-Jones, Gordon Marino, and Connor Gwin to talk about faith and doubt, and their contributions to the new magazine. Click here to listen. And click here to get a copy of your own. As early as January 30, we will be putting the thirteenth issue of The Mockingbird onto mail trucks to readers like you. We’re incredibly excited for you to see it. It’s colorful, it’s insightful, and believe it or not, despite the heady-sounding theme, it’s as winsome and down-to-earth and heartfelt as all the others. But don’t take our word for it! Jump on it! Over half of our inventory will be out the door Thursday… until then, here’s Ethan’s Opener and the Contents page. More often than not, pop culture depicts the faith of ordinary people about as badly as it depicts, well, ordinary people. People of faith are always “extra” somehow: ultrasincere, overeager, ubercaffeinated. On the rare occasion, though, you find a source that gets it right. AJ tells him he can relate. Who can’t? Even if you are the prayerful, retreat-loving type, transcendent experiences of God are probably rarer than you’d like. And meeting people like AJ can often exacerbate the feeling that faith is a wished-for athleticism the flabby multitude will never achieve. Certainty is impressive. Those who “have it,” have it 100 percent, and the doubters who don’t, don’t. This is the popular caricature drawn by old-time religionists and New Atheists alike: that faith and doubt are two rival schools of certainty, and never the twain shall meet. Faith isn’t certain, though. And neither is doubt. Both are by definition uncertain, always circumscribed by the unknown and unaccountable. This is why I appreciate Eric’s hesitation: I don’t even believe the neighbor when she says it’s recycling day. How could I possibly believe this Jesus nonsense? As the writer Richard Rodriguez says, any honest person going to church is also bringing their “inner atheist” down the communion line. So, in working up the essays that came to make up this issue, it has become clear that the opposite of faith is not doubt—doubt is the enduring human companion, even in faith. No, the opposite of faith is control, the need to be in the driver’s seat for every turn in the road. Just like Eric facing that silent room and that blank page, the invitation to faith also means a resignation of will, namely your will. Faith means surrendering the notion that you are the Higher Power guiding your life, and realizing instead that it might be better off in Another’s hands. Surrender is never considered a virtue, though, especially in a culture which champions, uh, champions, those who don’t surrender. Surrendering means failing—raising the flag of defeat or incompetence. And surrender is especially dubious when the terms are chartered by some less-than-appealing Religious Authority. Faith simply isn’t worth the risk with a God Who Vindictively Punishes or God Who Is Church Lady. But with a God Who Forgives? Our friend Jason Micheli tells the story of a Lutheran pastor named Jim Nestingen, a hulking 6’6” Minnesota beer drinker with the belly to prove it. Jim was boarding a plane to fly coast-to-coast when he saw who he would be sharing a row with: a man just as big as him. They awkwardly wedged up against one another and exchanged niceties, preparing for the long haul, basically sitting in one another’s laps. In response to the obligatory job question, Jim said, “I am a preacher of the Gospel.” The man next to him responded loudly, almost allergically, “I’m not a believer!” Jim assured him that was okay, and they kept talking. Turned out that the man had been an infantryman in Vietnam and ever since had carried with him all the awful things he’d seen and done there. As the plane flew from one end of the country to the other, the man dumped his entire story out into the lap of his seat mate. The man did. He called him—no joke—every day until the day he died, just to hear the declaration spoken over him in Christ Jesus. Surrendering to this absolution became something he couldn’t live without. It takes a miracle for us all. And this is the theme we’re exploring in this issue: in the fluctuations of faith and doubt, the persistence with which God bestows his grace. We have words from Francis Spufford, Sally Lloyd-Jones, and Gordon Marino. We talk existentialism, the Flat Earth Movement, and anger at God. But through it all, this is what we’re getting at: that despite our earnest questions and heavy burdens, and even still our empty “I surrender” pages, Christ is our answer. He has surrendered all, and it is on his account, believe it or not, that we have hope. 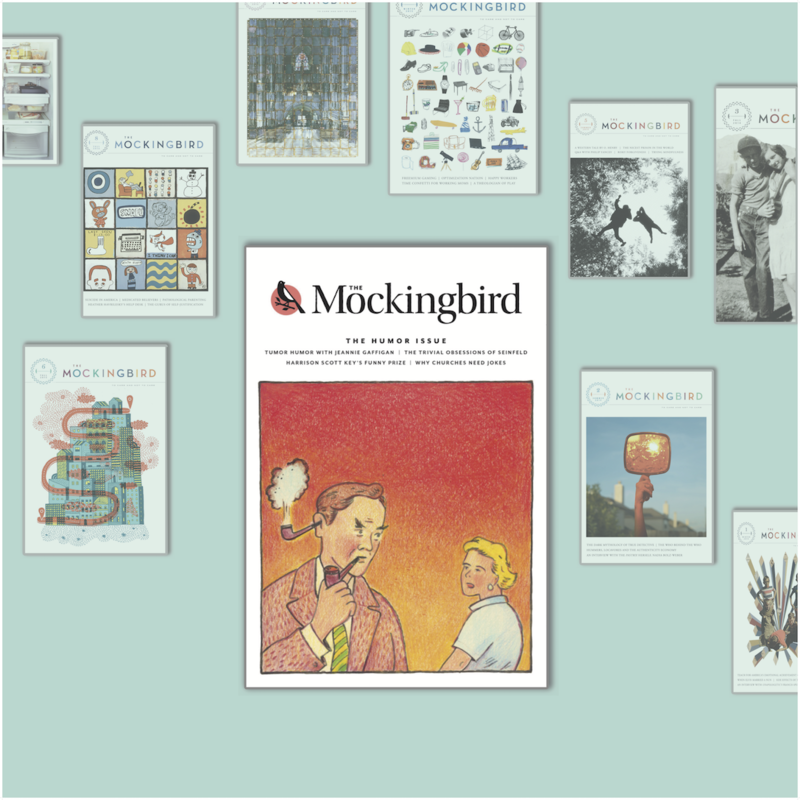 To subscribe to The Mockingbird, click here. To order Faith & Doubt alone, click here. Announcing Bed & Board: Plain Talk About Marriage by Robert Farrar Capon!